Q: How can I determine if activities are age and level appropriate for teaching children? A: English for Children covers topics and activities for elementary-school aged children from beginner level through to intermediate. Q: How do I handle behavioural problems in the ESL classroom? 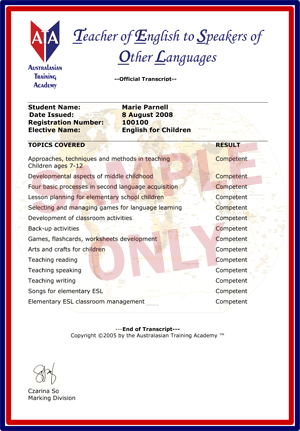 A: English for Children covers classroom management techniques specific for elementary-school aged children including student motivation.